2018 We Are Celebrating Milestones! 2018 is a year of big milestones, personally and business wise! In 1937 our old general store burnt down and was rebuilt in April of 1938. The building is celebrating 80 years, though it was established in 1909! And I'm turning 40 in March! It is so hard to believe that at this time, 10 years ago, my maternity leave was coming to an end, I resigned from my marketing position and 100% dove into purchasing the store and business! I haven't looked back since! Needless to say it has been a whirlwind! Full of laughter, trials and tribulations. Lots of tears and jumping up and down with excitement. I'm not very good with dealing with mundane regular tasks, so I can honestly say that there is never a dull moment at GSIB, plus add in 3 little kids and its pure chaos. The store has become our family's second home! My kids have grown up here. At the time of starting the store, Dalyn was 2.5 years old, Haley wasn't even 1 and a few months into business I found our I was expecting baby number 3! At Christmas no less!! People don't realize how much blood, sweat, tears and family sacrifice goes into owning your own business. In some aspects I am more flexible than most (if I have staff at the store) to be at kids activities or if a child is sick, and in other aspects I'm at the store and calling the grandparents. Brett owns his own business as well. so we both work long hours! Thankfully our busy seasons are usually different and we have learned to balance and dance through this crazy thing called life. Especially as the kids get older and are more involved in activities! Thankfully the store is also a pretty comfortable place for the kids. We learned to bring toy bins, blankets to curl up on the floor and more! As we have grown as a family, so has the store! It has evolved over the years but at the same time trying to stay true to the roots of why I wanted to open the store! I wanted to create a gathering place, that boosted your creative spirit with music or art,supplying the area with unique quality products and supporting handmade artisans as much as possible, whether it be Manitoban, Canadian or International and mostly a place you just felt "at home"! The building has the atmosphere and vibe that just envelopes you with warmth and comfort as soon as you walk through the front door! If these old pickle barrel stained floors could talk!! Last year we added a COMFY red couch to our event space. So between it and our cozy orange chairs, you may never want to go home. I always joke that now I just need a shower in the basement and I may just never leave. Back to our red couch, this is what is spearheading our RED COUCH RAMBLINGS. On our blog I welcome you into a glimpse behind the store scenes, life around GSIB (which includes family posts) new products and more. The kids and I enjoy creating unboxing videos to share what's just arrived, sneak peeks into life at our concerts and who knows what I might post. But it is all fun! 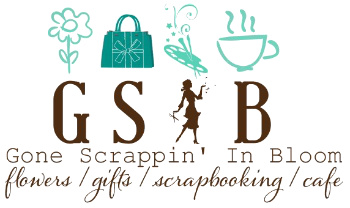 So come see what is happening in our GSIB world! The store uplifts your soul, refreshes and energizes you and inspires your inner creative spirit. My wish that it becomes a gathering place has now come true. May you always feel welcome when you visit and hopefully visit often! This year join us in celebrating 10 years in business and 80 years since the building was re-built after the fire! We have lots of events and surprises for you planned this year and cheers to being here another 10 years! I hope we can remain a community gathering place to shop, eat, dance and create for many more years to come! Thank You always for supporting my small business! And huge hugs and grateful thanks to my family, friends and my most awesome staff through the years! I couldn't have done it without you all!